When you think of the Harlem Renaissance, who do you think of first? Langston Hughes? Zora Neal Hurston? Duke Ellington? I’d like you to add another name to your list - William Grant Still.In celebration of Black History Month, this composer spotlight goes to this prolific American composer. He began his musical life on the violin and soon picked up at least one instrument from each of the families of the orchestra. After his high school graduation in Little Rock, Arkansas, his mother, who wanted him to go to medical school, nudged him towards studying science. So he did at Wilberforce University. After his baccalaureate studies he was offered scholarship to attend Oberlin Conservatory. Notably he studied with the classicist Chadwick (one of the Boston Six) and the “father of electronic music” Edgard Varese. For a career Still’s experiences were far and wide. Arranging for the band of W.C. 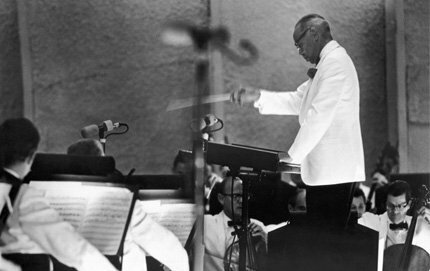 Handy, arranger for NBC Broadcasts, the first African American to conduct a major American orchestra, the first African American composer to have an opera performed by a major company, and the first African American composer to have an opera performed on national television. Lastly, his first Symphony is regarded as being one of the most performed American symphonies before the 1950s. Check out this excerpt below!